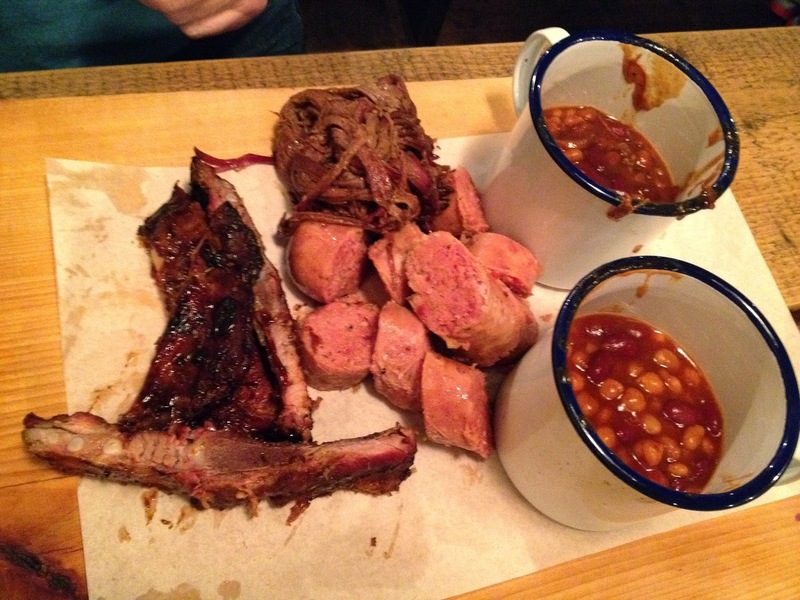 Ever since man discovered fire, he’s been arguing about the best way to barbecue. Direct or indirect, rubbed or marinated, gas, charcoal or wood? 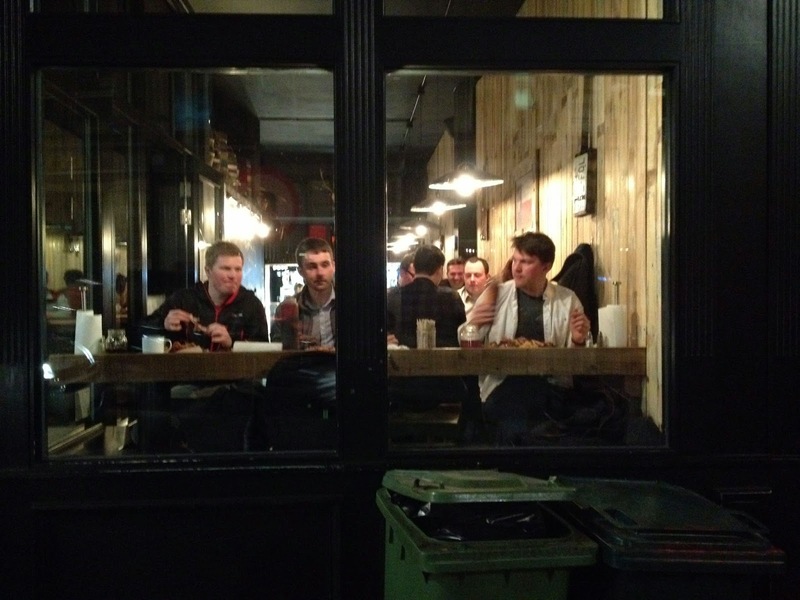 There’s nothing sadder than seeing male egos preening themselves over hot grills. Mrs Diner likes to deflate mine, when I emerge, red-faced and triumphant, my shirt stained with marinade, bearing chops, joints and wings, by telling our guests that it’s not really the grilling that counts, but the meat and the spicing. Ah, there’s the rub. Literally. On offer is meat, beer, and not much more. This is definitely not a venue for date night. It’s all very basic: horrible little plastic wood cutlery, like the ones you get with cheap airline food, are there to be ignored in favour of fingers. 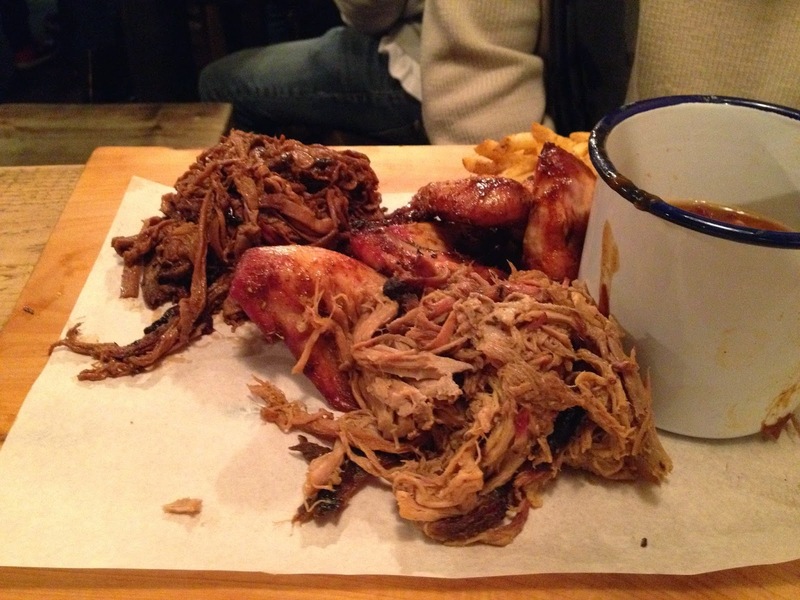 A roll of kitchen paper acts as napkin, as you pick at food dumped unceremoniously into big piles on wooden boards. This is a meal for cavemen. Or so Mrs Diner said, who was glad she had worn jeans. In their advertising Longhorns emphasizes locally sourced meat, and “authentic” spice blends, by which they presumably mean the sort of concoctions the Texans use in their own smokehouses. It’s rubbed then smoked for 16 hours “low and slow”. The tiny kitchen here makes nice fresh slaw, but can’t cope with all the smoking, which takes place elsewhere in a “unit” with 8 ovens. I’d hate to work in the unit next door – the smell of smoking flesh must permeate the atmosphere. The cooked meat is imported to the restaurant and kept warm in trays with lids, like school dinners. 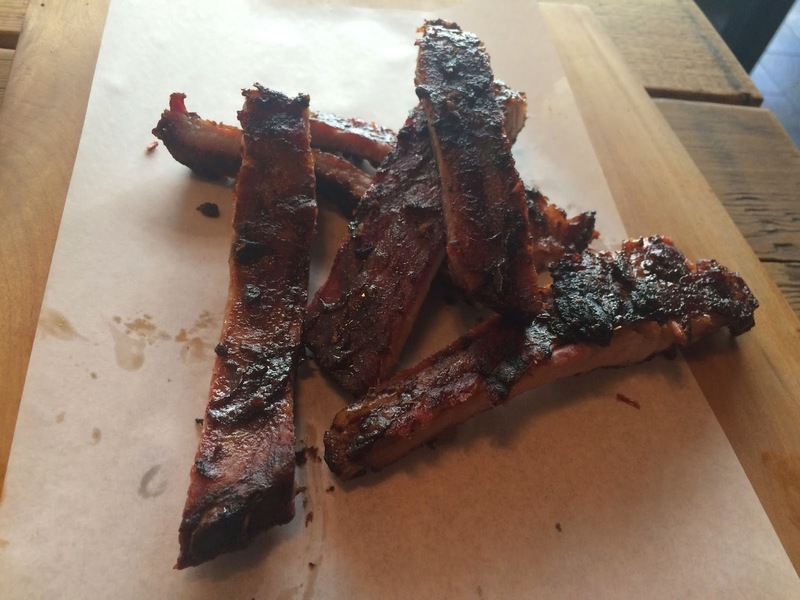 We started with some pork ribs and a dead pony. 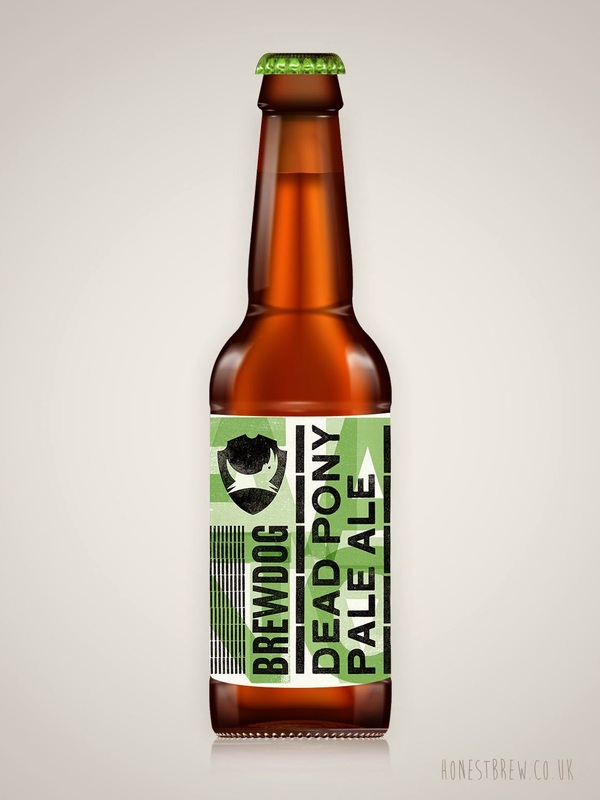 That’s the pale ale from BrewDog, and rather an appropriate description for the piles of carcasses floating past us – I have never seen such unattractively presented food. I guess it’s nourishment for real men after a hard day’s herding cattle. 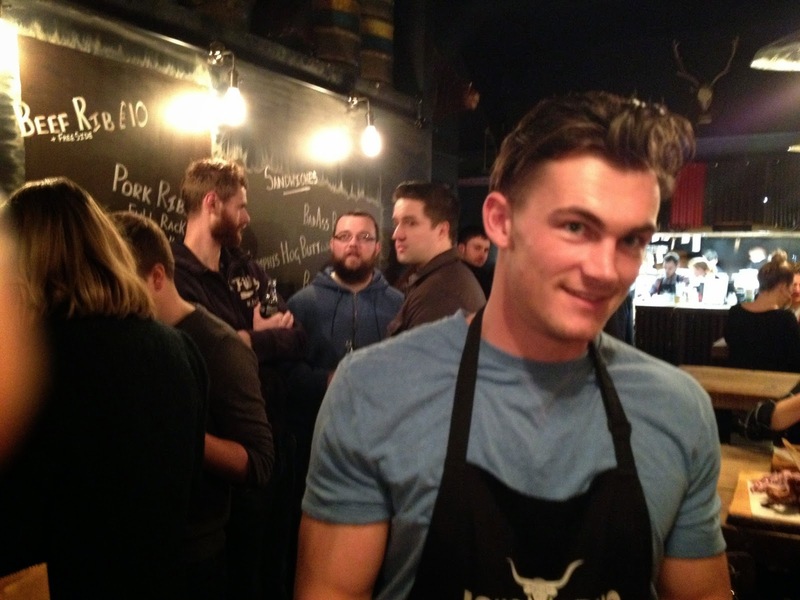 There’s no wine, of course, just a selection of strong, manly beers, including draught served in jugs and glass jars. 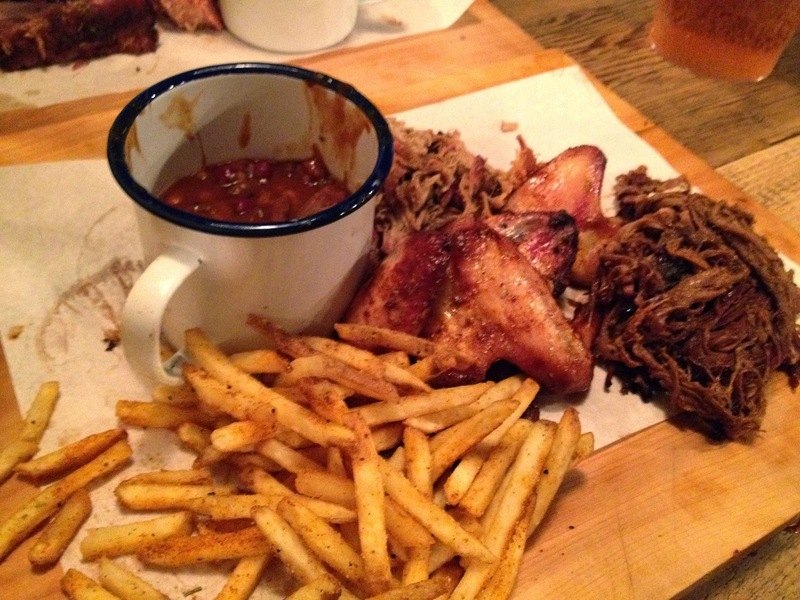 Then our meat mountain arrived, with beans in enamel mugs, which evoked memories of teenage camping trips. There were chunks of big sausage, pale with dashes of chilli. These were excellent: soft in texture, smoky and spicy. I could have ordered more. There was pulled pork, which was super tender. And there was brisket. 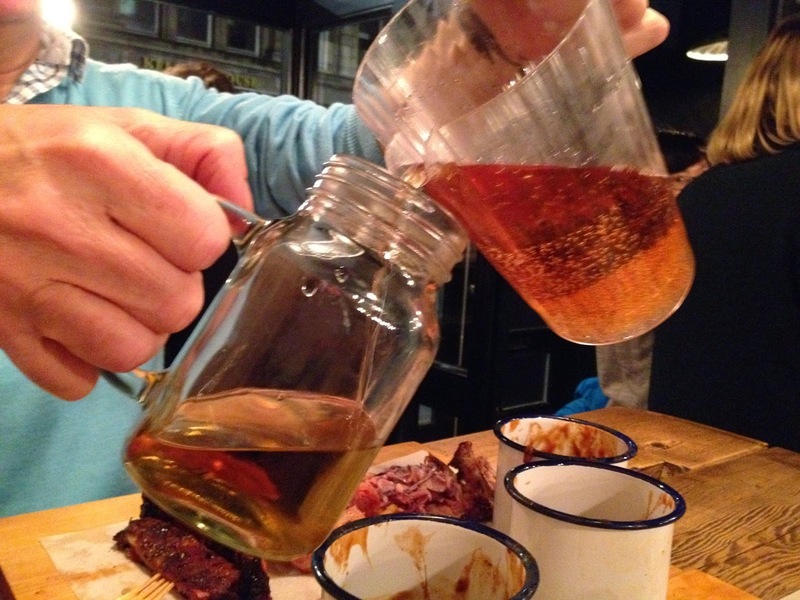 Britain’s new-found passion for smoked food has already extended into fine dining, particularly down South. 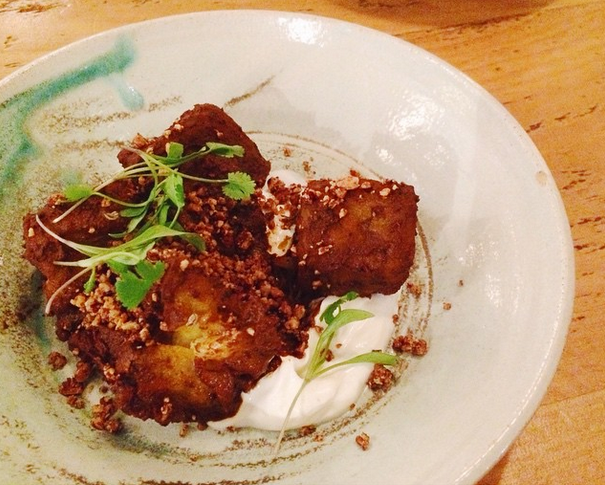 The other week, in my current favourite London restaurant Pachamama, which combines Peruvian rustic cooking with European ingredients, a tiny but delicious dish of smoked yoghurt (yes, really - it was sweet, like creme fraiche) with chunks of crispy aubergine cost me £8. 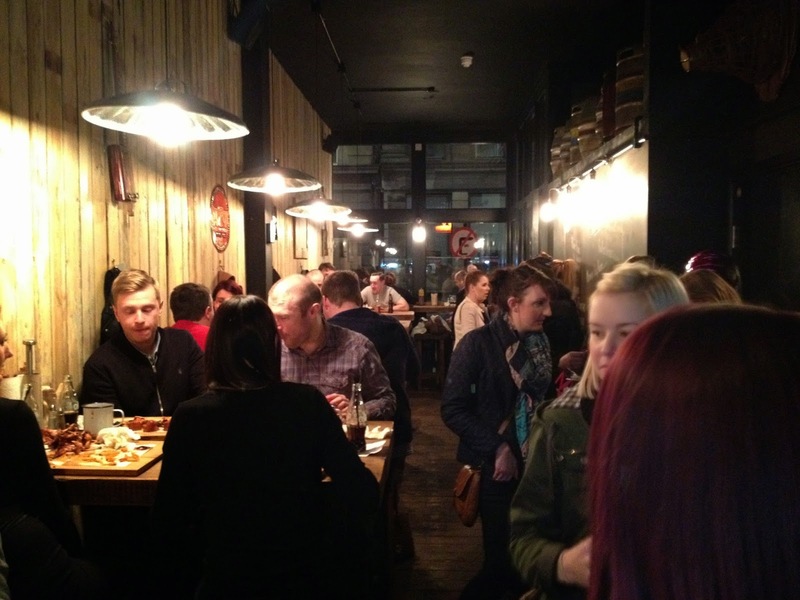 At Longhorns our huge palette-load of animal carcass with slaw and fries cost just four pounds more. This place is really good value, if rather too basic to become a regular haunt. I nearly overlooked dessert. 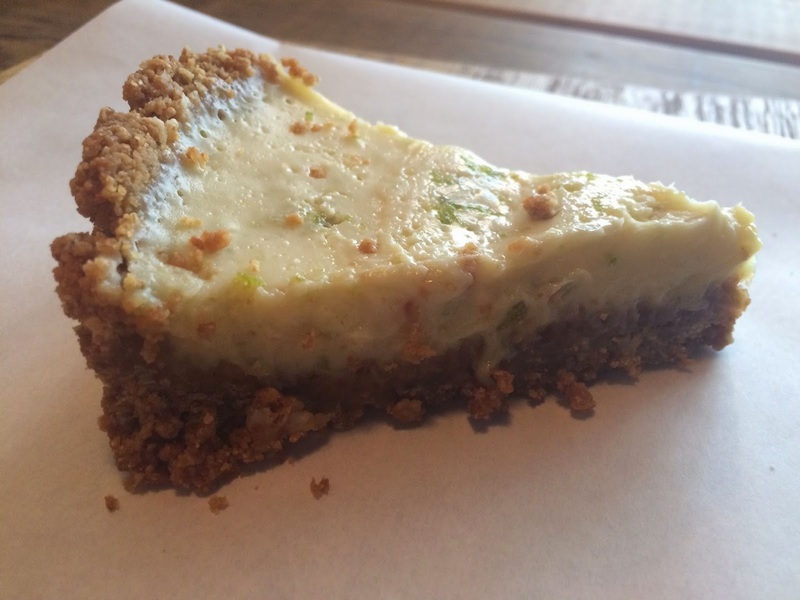 I’m very glad I didn’t, because the key lime pie – which so often is gelatinous, grainy or just incompetent - was deliciously fresh, light and tart, with a thick homemade syrupy biscuit base. Save room for it. But bring your own fork.